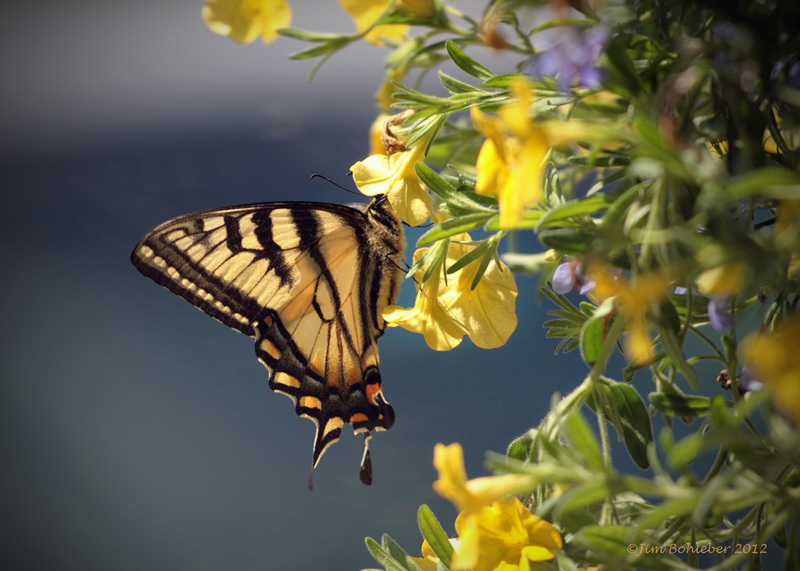 It seems like these yellow butterflies have been all over the place this spring. I caught this one, hanging around my hanging basket between rain showers. He was hurrying between flowers, like he was trying to make up for lost time. I think it is one of the swallowtails, possibly an eastern tiger. I'm sure there is somebody out there that can provide a positive ID. Thanks Jim for your wonderful photos. 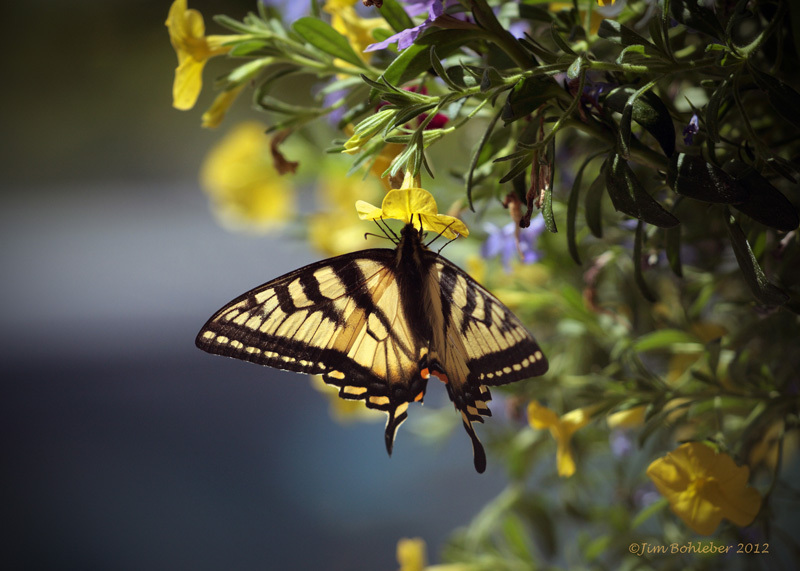 Do we have any experts who can confirm what type of butterflies Jim’s lens captured? Tell us in comments. Do you have photos you’d like to share? Send them to us at schroonlaker@me.com.